Powerful drug lord Liu Haoyu has made an illicit deal with county-level government official Lin Yaodong (Wang Jinsong) and local police deputy Ma Yunbo (Zhang Xilin), and earned generous amounts of profit from his drug exportation business. Li Fei (Huang Jingyu) is the leader of the county’s anti-narcotics unit, and accidentally discovers that a quiet rural village is actually a hub for criminal activity. Li Fei decides to investigate the matter further despite warnings from his corrupt superiors, though is fully supported by his adopted father Li Weimin (Wu Gang), deputy chief of the provincial police department. Simon Yam costars as Zhao Jialiang, Li Fei’s biological father and an undercover police officer who had infiltrated the drug cartel three years earlier. New actress Li Mozhi plays female lead Chen Ke, a nurse from the local hospital. 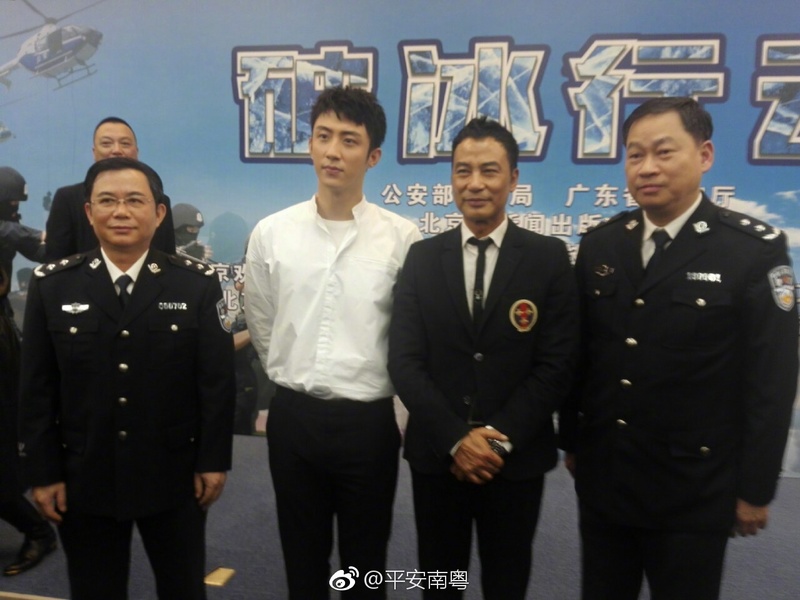 Written by Chen Yuxin (Conquer 征服, Big Case on the Mekong River), the 48 episode drama is endorsed by the Ministry of Public Security, and will be premiering on CCTV-1 and streaming site iQiyi sometime next year. This entry was posted in Drama, Mainland China and tagged Huang Jingyu, Li Mozhi, Operation Ice Breaker, Simon Yam, The Thunder, Wang Jinsong, Wu Gang, Zhang Xilin by XDramasX. Bookmark the permalink. It’s as if Huang Jingyu is trying his very best to shake off his BL start by taking on roles that are in deep macho territory. Despite the strong cast, I have zero interest in this drama.